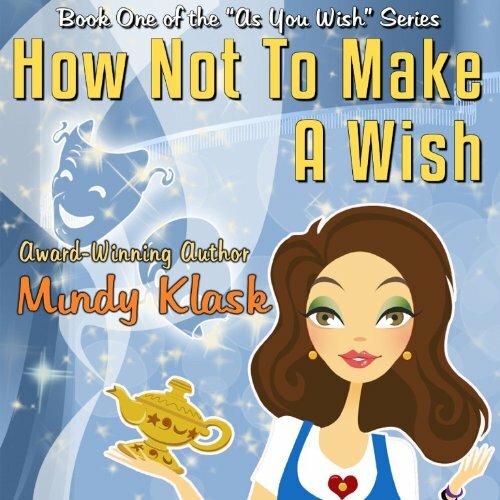 Kira Franklin, the down-on-her luck heroine of Mindy Klasky’s fun and imaginative fantasy chick lit offering, stumbles across an unexpected surprise when sifting through the prop closet of a Minneapolis theater: a magic lantern that houses Teel, a genie who offers to grant her four wishes in the hopes of extricating her from her romantic and professional doldrums. Lisa Ivary’s elastic performance shows impressive range in her raucous portrayal of the shape-shifting, sharp-tongued Teel, who shows Kira firsthand that there’s plenty of truth to the cliché "be careful what you wish for". While cleaning an old lantern, Kira Franklin releases a genie. But this gender-morphing, appearance-bending creature doesn't do "big" wishes. So forget stopping world hunger or ending war. Still heartbroken from the jerk who dumped her, Kira doesn't believe in the perfect man. So instead, she wishes for her dream job - stage manager at the hottest theater in town, the Landmark. And presto: she's running the production of Romeo and Juliet. Except, like everything else these days, this is one crazy production. And now Teel, the genie, insists she finish her wishes so he can move on. Her second wish is about her appearance, which isn't exactly catching her third wish's eye. And the there's the rub. Because that old saying about being careful what you wish for is so spot-on. And Kira is about to discover that moxie, not magic, is what can make all your dreams come true. ©2011 Mindy Klasky (P)2013 Audible, Inc.
Ugh... I think I only managed to finish in hopes that it'd end decently... in one word: annoying.